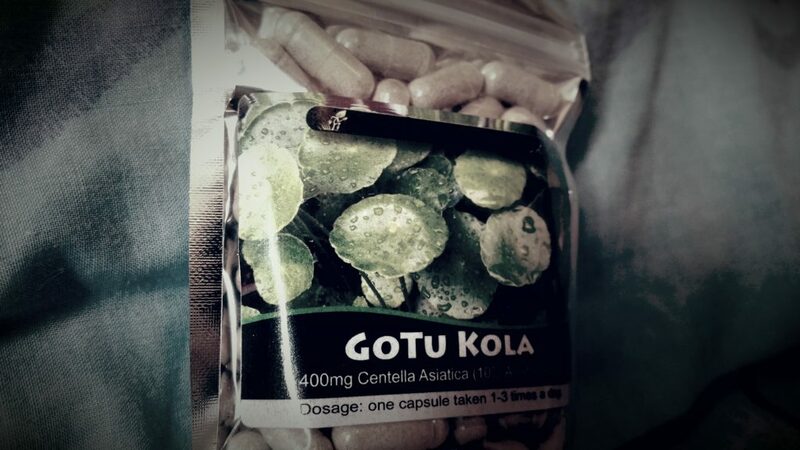 Gotu kola (Centella asiatica) is a water loving shrub that grows mostly in tropical and subtropical regions. It has been used historically in Chinese and Ayurvedic medicine as a general tonic for health. The use of gotu kola as a general tonic stems from its wide range of pharmacological activities that it shows in humans and animals. These include antioxidant, antiinflammatory, wound healing, antinociceptive and antiepileptic properties. In addition, gotu kola shows some interesting central nervous system properties that include the ability to increase cognitive ability and mood enhancing effects. With regard the latter, gotu kola has been investigated for its ability to decrease the severity of the symptoms in the generalised anxiety disorder (GAD) in humans. The generalised anxiety disorder is a condition that is characterised by a constant low level of anxiety that can significantly impair the quality of the life of the sufferer. The mood enhancing effect of gotu kola may stem from its ability to alter neurotransmitter levels in the brain. In India gotu kola (Centella asiatica) is known as Indian Pennywort, Jal Brahmi and Mandookaparni. The French pharmacopoeia of 1884 mentions gotu kola and the herb is also mentioned in texts spanning 2000 years in ancient Chinese medicine including the Chinese Shennong Herbal. The historical used of gotu kola as a medicine might date back even further in India, with Ayurvedic texts dating back 3000 years giving mention the use of the herb. About 400 to 500 mg twice per day should provide general tonic effects. High quality extracts are usually standardised for asiaticosides. Researchers have investigated the anxiolytic (anti-anxiety) effects of gotu kola in humans. In one study a group of individuals were assessed for their levels of anxiety and depression using Hamilton’s Brief Psychiatric Rating Scale. The subjects were subsequently administered 500 mg of gotu kola herb twice per day. The subjects were then assessed for their levels of anxiety and depression using the same Hamilton scale at day 30 and day 60. The results of the study showed that the supplements of gotu kola significantly reduced the severity of the anxiety experienced by the subjects. In addition, the gotu kola also significantly reduced the stress experienced by the subjects, and the depression that accompanied this stress. Following the consumption of gotu kola the subjects also showed a higher willingness for adjustment to their condition, and the herb also improved cognition. This study supports the role of gotu kola as a general mental tonic, and supports the traditional use of the herb from Chinese and Ayurvedic medicine. The active constituents in gotu kola responsible for its physiological effects are thought to be a group of terpene chemicals. These are often referred to as asiaticosides of which terpenoid saponins are a major constituent. Chemicals within this broad group may include asiaticoside, madecassoside (asiaticoside A), asiaticoside B, madecassic acid, asiatic acid, terminolic acid, brahmic acid, brahmoside and brahminoside. 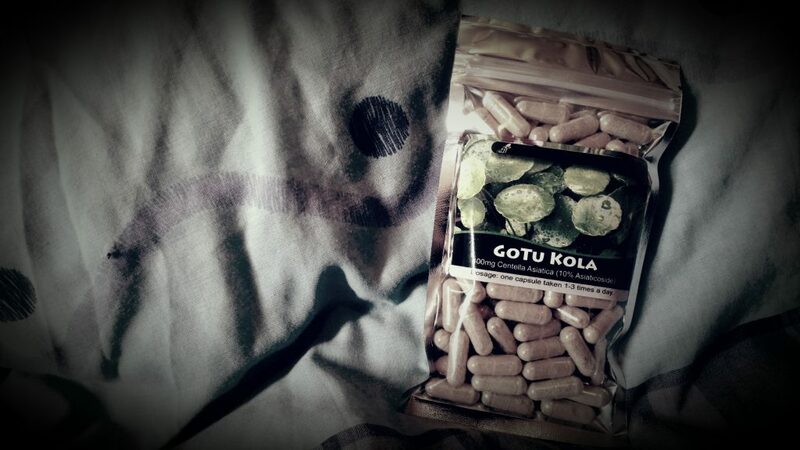 Gotu kola shows the characteristics of an adaptogenic herb and in this regard is similar in its activity to Panax ginseng, withania (ashwagandha), brahmi, Siberian ginseng, mimosa, rose root (rhodiola) and sour date. These herbs are effective at preventing the stress response and thus can have significant mood elevating effects. Roman, M. Determination of triterpenes in Centella asiatica (Gotu kola) by HPLC). Thermo Fisher Scientific. This entry was posted in Anxiety, Depression, Gotu Kola. Bookmark the permalink.